Water monitoring: Surface and ground water can be affected by land use, agricultural practices, pollution and climate change. Monitoring and treatment of water is essential since public health may be jeopardized if surface water is contaminated. Water Metering / billing: Smart water metering, communication networks and analytics will increase such that by 2020 over US$200m will be channeled to address the country’s water sector. Water ATMS: There are 66,093 rural habitations in India where the drinking-water source is contaminated with either one or more chemicals, such as arsenic, fluoride, nitrate, iron and salinity. Water ATMs provide safe drinking water in urban and rural areas. Solid Waste Management: Onsite handling, waste collection, waste transfer and transport, waste processing, recovery and disposal are key solutions. Management programs, technologies including smart bins, waste to energy techniques are being used by smart cities and municipalities. Toilets: 3 lakh plus public toilets have been constructed from 2015 onwards under Swach Bharat Urban. Command and Control Centre for Cities / Municipalities: The command and control systems market is projected to reach USD 35.65 Billion by 2022, at a CAGR of 4.15% during the forecast period. Cloud / Open Data: The Public Cloud market in India reached about $658 million in the first half of the financial year 2017. It is estimated that by 2020, over 90% of global enterprises will adopt multi-cloud platform. 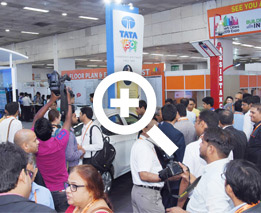 IoT: Smart Cities, Digital India campaigns is driving growth in the IoT segment and its market is projected to grow at a CAGR of 28.2 percent during 2016-22. Security Cameras: the India CCTV Camera market is expected to grow at a CAGR of 27.16% in the 2016 to 2021 period. India is projected to invest $44.9bn in smart metering, distribution automation, battery storage and other smart grid market segments over the next decade. This investment will help to reduce the country’s staggering 22.7% transmission and distribution loss rate. As of January 2018, 99 cities have been selected to be upgraded as part of the Smart Cities Mission. 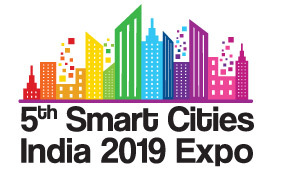 Special Purpose Vehicles, State’s, UTs and Government entities relevant to Smart Cities Mission will exhibit their achievement and initiatives at the expo.